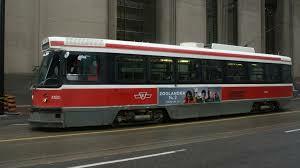 Another step was taken in the long-standing conflict at the Toronto Transit Commission over the employer’s right to randomly test employees for alcohol and drugs. This week, an Ontario judge refused the Amalgamated Transit Union (ATU) request for a temporary injunction to prohibit the testing pending the outcome of an arbitration that has dragged on now for some 6 years. Here is the injunction decision. Although it is not completely clear from some of the media reporting, the court decision did not “uphold” the TTC’s alcohol and drug testing policy. Rather, the decision simply refused to prevent the employer from activating the policy until such time as the arbitration decision is issued, which could be years from now. The issue before the judge was what should happen with the policy in the interim, before the arbitration decision on the legality of the policy is decided. The judge could have ruled that the employer cannot start testing until the arbitrator rules that the policy is lawful, but instead he ruled that the employer could start doing the testing while the arbitration continues. The TTC policy permits drug and alcohol testing in a variety of circumstances (see para. 5), and also on a random basis for employees in “safety sensitive jobs” and some management positions. The testing is performed by a third party contractor and results are only provided to the TTC if an employee fails. Justice Marrocco applied the legal test for granting an interim injunction developed in the famous 1994 SCC decision in RJR MacDonald v. Canada. That test focuses on the balance of harm that would be suffered if the injunction is or is not granted. The party seeking an injunction to restrain conduct pending the outcome of litigation must satisfy the court that: (1) there is a serious issue to be decided in the pending litigation; (2) that the party will suffer “irreparable harm” if the injunction is not granted; and (3) that the “balance of convenience” favours granting the injunction. Justice Marrocco found that there was a serious issue at stake in the arbitration. Namely, whether the TTC policy satisfied the legal test for implementation of alcoholic and drug testing set out by the Supreme Court of Canada in the 2013 decision called CEP v. Irving Pulp and Paper. For Law of Work book readers, Irving Paper is summarized in Chapter 43 (the Collective Agreement) of the full volume, when the book explores the right of unionized employers to introduce new rules and requirements. A core element of the Iriving test requires the employer seeking to justify a random alcohol and drug policy to establish that a serious drug or alcohol problem exists and that no means that is less intrusive on the privacy and dignity rights of employees is available to redress the problem. The judge ruled that the ATU and employees would not suffer “irreparable harm” if the testing policy was implemented pending the outcome of the arbitration. The risk to coworkers and the public is very high, especially in relation to vehicle drivers, and this “diminishes the expectation of privacy” concerning employees’ drug and alcohol consumption. In addition, the method of testing was relatively non-intrusive. It involves a private breathalyzer and then a swab of a cheek. This is less intrusive then blood test and urine tests, the judge ruled. Additionally, the manner in which the results are handled, according to the judge, struck a reasonable balance between protecting the employees’ privacy and ensuring an effective policy. The judge also believed that, should the arbitrator ultimately rule that the policy is unlawful, that any employees whose privacy had been infringed by the wrongful testing could be compensated by damages. Therefore, any harm was not “irreparable”. Nor was the judge persuaded that irreparable harm results from potential harm to employees’ reputation or to soured labour relations, or that the testing creates an unacceptable risk of psychological harm to the employees. After considering all the evidence… I am satisfied that, if random testing proceeds, [it] will increase the likelihood that an employee in a safety critical position, who is prone to using drugs or alcohol too close in time to coming to work, will either be ultimately detected when the test result is known or deterred by the prospect of being randomly tested. This will increase public safety. To the extent that refusing the injunction results in, if the applicants are ultimately successful at the arbitration, an invasion of an employee’s reasonable expectation of privacy, the person concerned can be compensated with damages. Accordingly, I am satisfied on the evidence that the balance of convenience favours the respondent on this motion and I would have refused this motion on that basis. Therefore, in the end, the judge ruled against the Union’s application for an injunction suspending random drug and alcohol testing until the arbitration award is issued. The policy could still be ruled unlawful, but it could take years before that decision is issued. Do you think that the judge’s balancing of the employees’ privacy interests and the employer’s interest in detecting and discouraging alcohol and drug use was a reasonable one? Read the Irving Pulp and Paper decision linked above, or the summary of the case in the Law of Work text. Considering what we learn in the TTC case about the policy being implemented there, do you think the arbitrator will decide that the TTC meets the Irving standard?